If you have watched Monsters Inc., you would know that Mike Wazowski (voice by Billy Crystal) and James P. “Sulley” Sullivan (voice by John Goodman) are best friends. They work together at Monsters Inc. and are the best employees. The question is was it always like this? Were they always best friends? Well Monsters University (MU) gives you the answers to all these questions. The first 20 minutes of the movie focus on Mike and his dream. Mike is a hardworking monster who has a dream to make it to Monsters Inc., however being a cute looking monster he faces a lot of difficulties right from school days. He is teased for small size and his non-scary looks. All this however does not dishearten Mike but only pushes him to become more focused, dedicated and work towards his only goal in life, the goal to be a Scarer. The dedication and hard work eventually pays off and Mike makes it to the Monsters University. 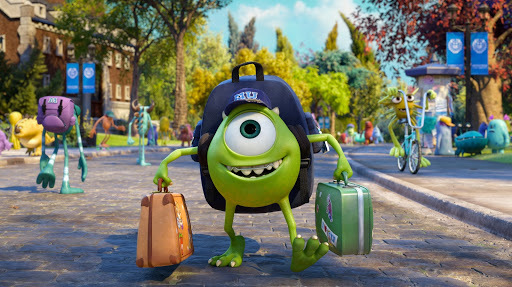 Mike is excited to be at the Monsters University since it means that he is one step closer to his dreams. What he doesn’t know though is that things for him at the University are not different to school. He has to struggle to build an image but what is more annoying for him is Sulley, a monster with a scary look and a family history of scary monsters. What Mike had to work for, Sulley got without any efforts whatsoever. Since Sulley doesn’t value this and is arrogant, Mike and Sulley start off on bad terms. The fights seem to continue between the two and the dislike for each other keeps growing. There a number of scenes in the movie which show a face-off between the two lead characters. 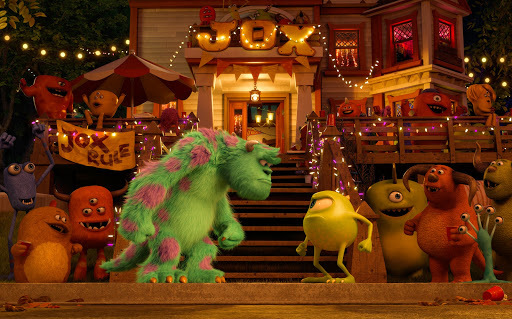 Finally there comes a time when Mike and Sulley have to work together in a team for the Scare Games. The team Mike and Sulley form with a few other “non-scary” monsters is nothing but a team of misfits called Oozma Kappa (reminded me of The Internship). What follows are the Scare Games. The Scare Games teaches each of the members a lot about themselves and about other team members thereby strengthening the bond between them. How the games unfold and how things eventually fall into place is something you would like to see for yourself. 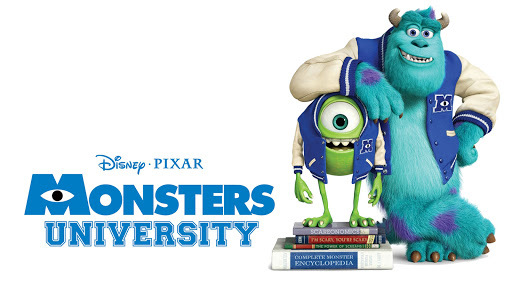 The Monsters University introduces a number of new monsters, each having their own style and abilities. The way each of them has been distinguished just amazes you. Pixar has put a lot of effort in designing each of these characters. The flow of the story is good and it is difficult to find any loose ends. There is humor, emotions and a lot of fun moments. There are a few slow parts but they don’t hurt the movie or the plot. What Monsters University manages to do is give enough space to each of the characters without losing its focus from the main characters. The end of the movie ensures that it links to the start of the Monsters Inc., thus ensuring that its purpose of being a prequel is served. 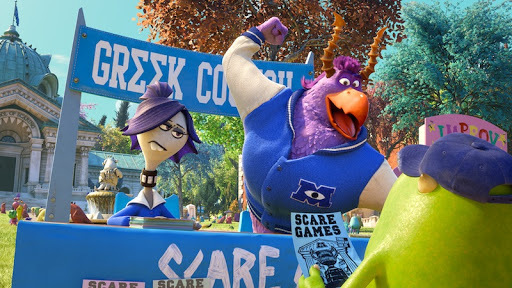 Monsters University might not be at the same level as its predecessor but is not a movie to be missed if you like animated movies.